Ohhhhh the jalapeno. Such spicy perfection. 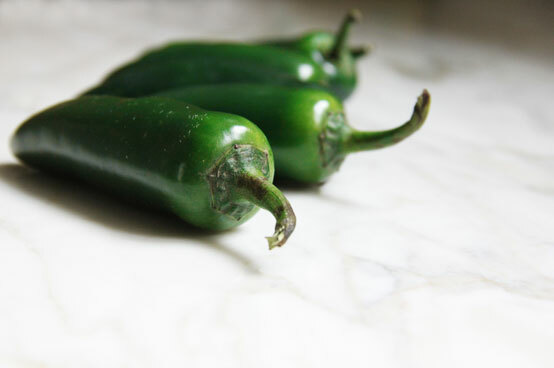 In my opinion, jalapenos have just the right amount kick. They are strong, intense, you know that they are there, but they are not unbearable like their counterpart the habanero. When you remove the seeds and inner skin and roast them, they become a little less intense and even more inviting. Stick some cheese in there to balance out that zing and you have one delicious little snack. An appetizer, a snack, or a passed around at a party. In a small bowl, mix together the goat cheese and cilantro. Season with salt and pepper. 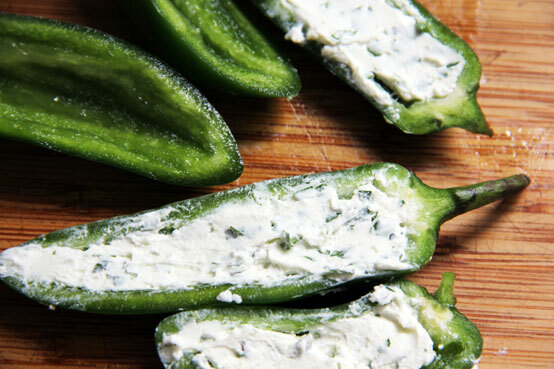 With a small spoon, fill each jalapeno half with the goat cheese mixture. Place peppers on a foil-lined baking sheet and cook for approximately 20 minutes, or until cheese is browned and bubbling. Serve warm.